April 5, 2018 April 3, 2018 Alyssa S.
On local news stations across the United States last month, dozens of anchors gave the same speech to their combined millions of viewers. It may not have seemed strange to individual viewers. But Timothy Burke, the video director at Deadspin, had read a report last monthfrom CNN, which quoted local station anchors who were uncomfortable with the speech. 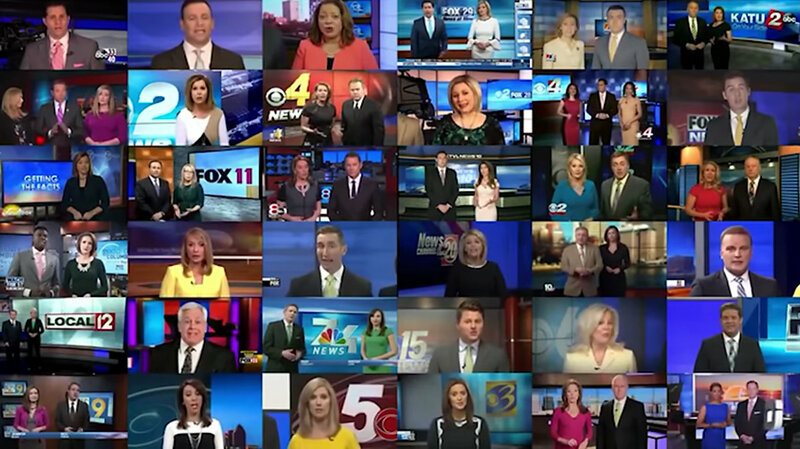 The script came from Sinclair Broadcast Group, the country’s largest broadcaster, which owns or operates 193 television stations. The company is seeking a $3.9 billion deal to buy Tribune Media, a move that’s being held up by regulators over antitrust concerns.